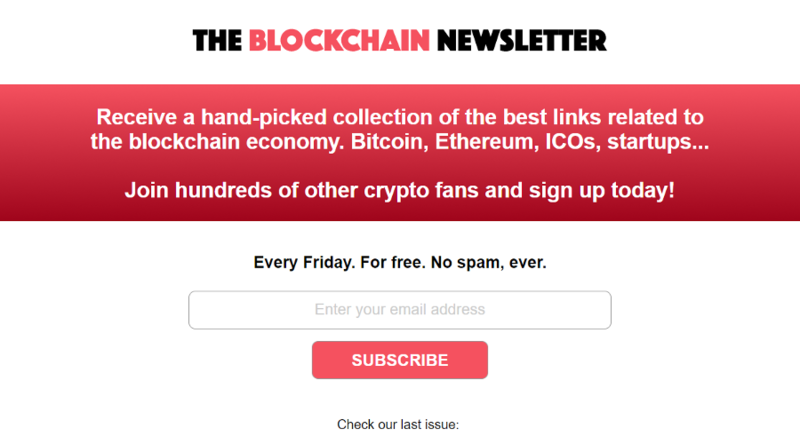 Receive a hand-picked collection of the best links related to the blockchain economy. Bitcoin, Ethereum, ICOs, crypto markets, startups. Every Friday. For free. No spam, ever.